Some people believe it's not necessary to have pedicure. It's like "No one ever sees the bottom of my feet, why bother?" But trust me, the feet can be a handful if it's not maintained consistently. Layers of flaky dry skin can build up which will hurt and crack if they get too thick. It's the everyday lifestyle and environment that causes rough skin on the feet. It is difficult to avoid due to dry cold weather, soapy water, wearing shoes without socks or even just by being barefoot. This leads to infections if one do not go for pedicure frequently. 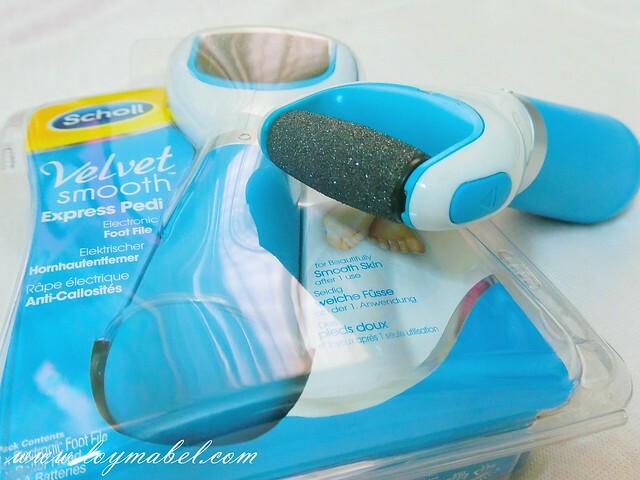 I'd go to the nail parlor at least once every month to keep my feet smooth and healthy but I don't have to anymore, thanks to Scholl Velvet Smooth Express Pedi Electronic Foot File. Scholl as the leading foot care expert came up with this innovative electronic foot file is simple yet handy and designed for ease of use. 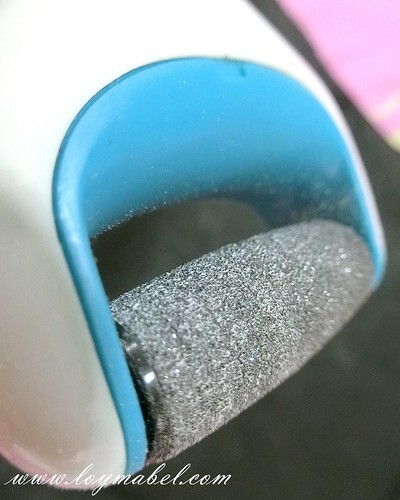 I can achieve beautiful and velvety smooth feet effortlessly with this foot file. The best part is I can have beautiful-parlor-finished feet at home instantly without going to the nail parlor. 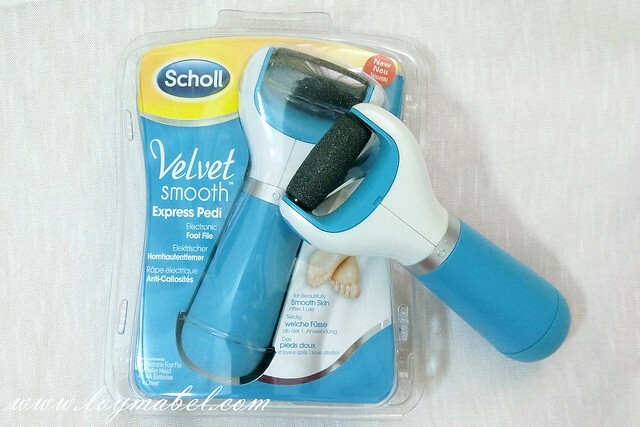 Scholl Velvet Smooth Express Pedi Electronic Foot File comes with Ergonomic design and operated by 4 AA batteries (included in starter pack). It's easy, painless and very user-friendly. The usage is pretty easy, rotate the silver band from I to O and the roller head will start working. Left: Roller head switched off. Right: Roller head switched on, rotating. This electronic foot file's roller head is removable. Just press the blue button at the side and it simply pops out. 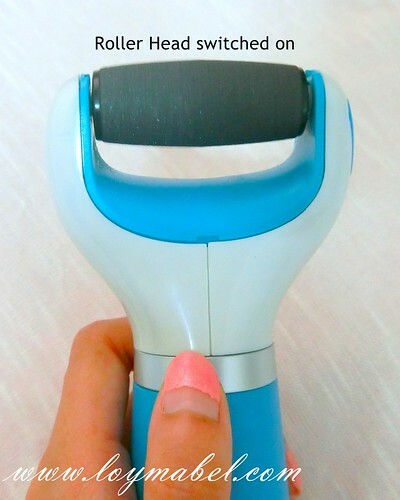 The roller head has a slight rough surface which removes dead skin cells on my feet effortlessly without hurting it. The roller head is washable and widely available too! Check out how it works! It exfoliates and removes dead skin and calluses on my foot. There is also no concern about any pain as the roller will automatically stop when there's too much pressure. Look at the amount of dead skin cells on the black background and roller head, just within few seconds of the exfoliation process. It does help to remove dead skin cells and calluses - the result is noticeable instantly. My feet felt much softer and I can feel my foot's sensitivity got higher (in a way my feet can feel the ground better). It felt a lil ticklish initially but I got used to it very quickly. 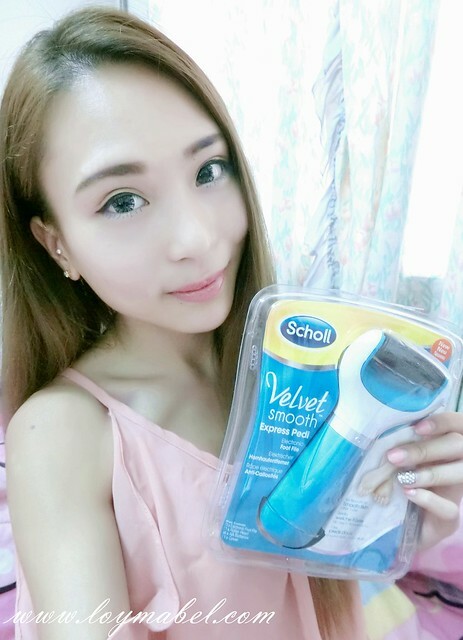 I love this foot file because of my hectic schedule, I am able pamper myself with a pedicure session at home and achieve smooth and healthy feet easily. 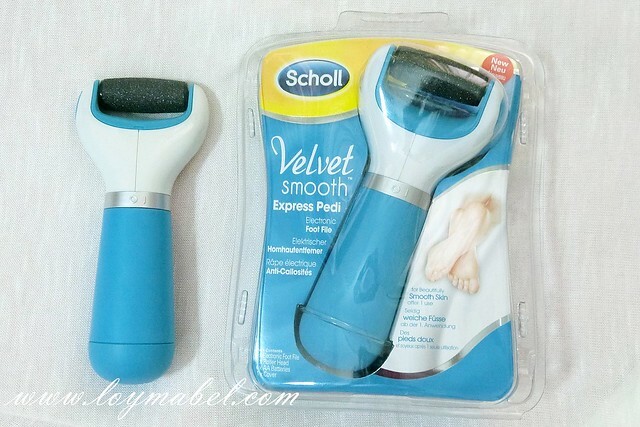 I can say that Scholl Velvet Smooth Express Pedi is good to invest on and you can save a large sum of money from visiting the nail parlor. Remember to love your feet, too! Use promo code 'SCHSOU' to get additional 5% OFF when you purchase from www.soukai.com.my! !